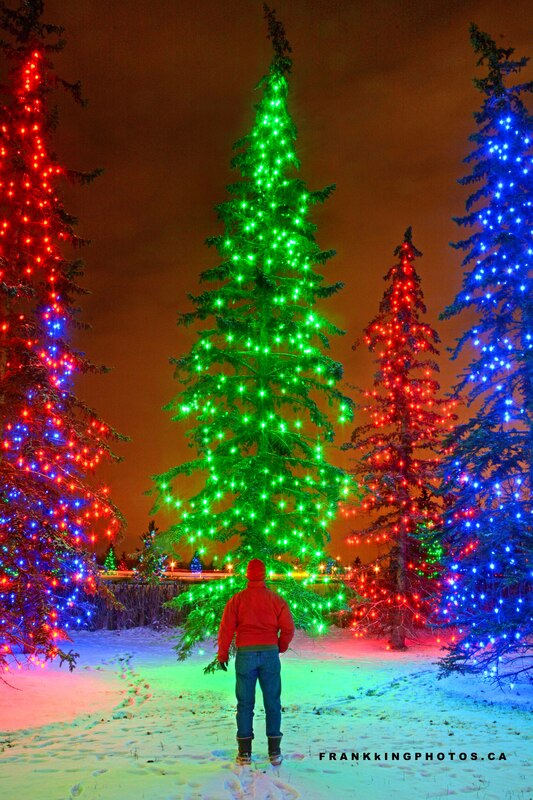 One of the best places to enjoy Christmas lights in southern Alberta is Spruce Meadows, an international equestrian venue in Calgary. We’re talking 250,000 lights spread out among trees and buildings in the beautiful 360-acre facility. Nikon D7100, tripod, 18-70-mm. lens. So very lovely. It could be a Christmas card!